NatureScapes Inc has several maintenance crew leaders and crew members that have been with us for over twenty years. Our experience shows in every aspect of our service to our customers. 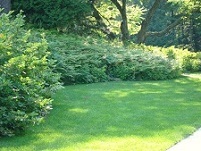 We at NatureScapes are licensed and insured, full service landscape professionals. 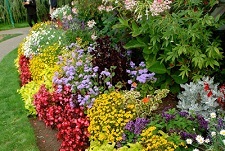 We are here to serve you and help you in every aspect to achieve your landscaping goals. We have spent over 25 years establishing ourselves as highly respected in our field and most importantly by our customers. Every aspect of our company is focused on helping our clients accomplish their landscaping needs and objectives. Be it in maintenance or as an aspect of our complete landscape design/installation services, we are here to offer you an exceptional customer experience. We have proudly served Western Tarrant County, Aledo and Eastern Parker County since 1986. We look forward to serving you.